We offer a full spectrum of home improvements and repairs for all ranges of style and budgets. We believe that everyone should be able to turn their house into a more comfortable, usable, energy efficient, and environmentally friendly home. If you already have a project designed or if you need help with design and options we are here to assist you. 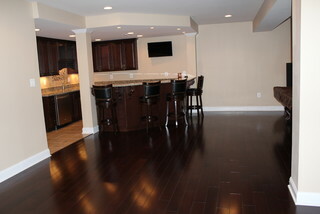 Add value and comfort to your home and living space by finishing your basement. Many basements are finished with bars, bathrooms, theatre rooms, play rooms, spare bedrooms and gyms. Whatever your needs are, we will work with you to make sure your project is unique to your desires and budget and exactly what you desire. We always insure that your foundation is dry and safe before closing it in. Basements give you the most square footage for the lowest cost per square foot. Everyone needs that extra room for entertaining or that man cave to hang out in. We are always respectful of your home and take pride in making sure you are a repeat customer. Organization and timing are critical in doing kitchens and baths. Spending the least amount of time while retaining our high level of quality inside of your home is important. No matter if you are doing a simple replacement or a total overhaul, we will provide you with a great design shown in 3D. 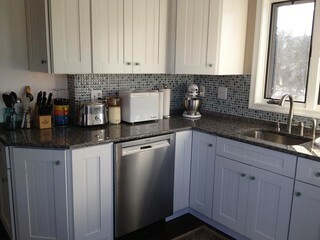 Remodeling your existing kitchen or bath allows you to make your space more functional and energy efficient. The most frequently used rooms in your house are your kitchen and bathrooms. The majority of older homes were not designed with large enough kitchens to gather and entertain in. Homes used to be designed with as many rooms as possible in the existing space. Times have changed and many are interested in a more open floor plan. Making this conversion is a specialty of ours that we are very excited about. Chesapeake Services Kitchen Division focuses on getting you the best value for your money. Our designers work with your budget to design the custom kitchen that fits your dreams while maintaining practicality and function. 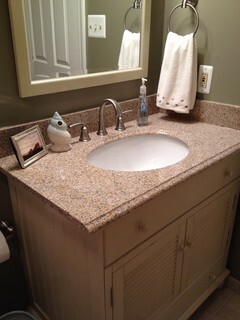 Chesapeake Services will work with any size bathroom, from a small scale half bath to a master suite. Our attention to detail and creativity will make your space not only functional, but also beautiful. Energy efficiency is one of the most valuable improvements that you can add to your home. The quality of your doors and windows are important, but more importantly is how they are installed. We guarantee that your windows and doors will be installed properly and making sure that they are sealed from air and moisture. With a typical home built in a subdivision or community, the quality and installation techniques of the windows and doors is moderate at best. Builders use below average products to keep the cost of their homes down. After time, the poor construction shows through with air leaks and wood rot. High efficiency window replacements can be installed as low as $400 each. We do not follow the industry with the typical aggressive sales techniques like other companies. We give you our best price from the beginning and an estimate will only take about 30 minutes. We use only the best door manufacturers in the industry like Andersen, ThermaTru, JeldWen, etc. We can also install a window or a door in your home where there is not already one.